Smooth feeding is mandatory! SGM Tactical is in the business of manufacturing durable Magazines that feed flawlessly, fit perfectly in your firearm, and last for years. Each Magazine goes through a rigorous testing process with a variety of ammo brands and is backed by a 5-year "no questions asked" replacement warranty. 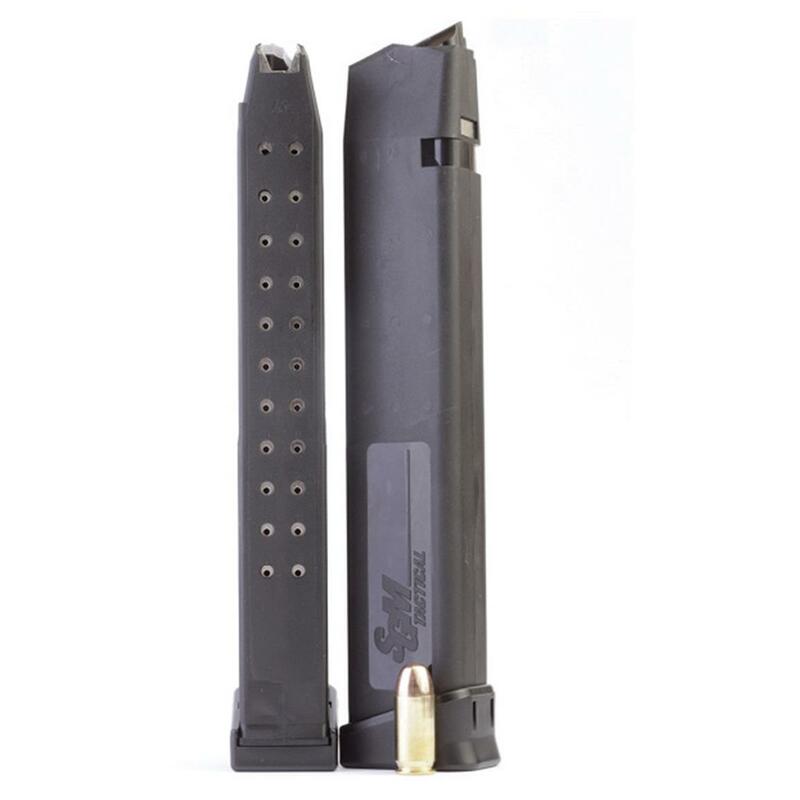 This 26-round Magazine is made from Dupont composite/glass-filled polymer and features a stainless steel spring. Magazine fits all Glock 21, 30 and 41 pistols chambered in .45 ACP. SGM Tactical, Glock 21/30/41 Magazine, .45 ACP, 26 Rounds is rated 4.0 out of 5 by 4. Rated 5 out of 5 by carchers9 from Great Mag They fit my CMMG perfect. They insert and eject smoothly. Rated 5 out of 5 by Keizeror from Great price and value. Works well with Kriss Vector I have bought several of these over the past few months to use with my Kriss Vector handgun. I have run many rounds through the magazines with no issues or problems. Fits perfect and is well built. Strongly recommended. Rated 5 out of 5 by Meugene from Works perfect - good price I have run over 10 reloads of full 26 rounds through mags and have had no problems. Rotating between 8 mags before reloading - no jams or other issues. Fully recommend buying.